« Welcome Trey Michael, North Carolina’s New State CTE Director! 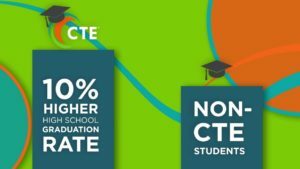 This entry was posted on Friday, May 18th, 2018 at 1:13 pm	and is filed under Advance CTE Announcements, Advance CTE Resources, CTE: Learning that works for America, News, Resources. You can follow any responses to this entry through the RSS 2.0 feed. Both comments and pings are currently closed.